Turing a beloved classic novel into a movie is always a daunting task. No matter what, the film adaptation will always have its supporters and critics. It is up to the director, cast, and crew to create a movie good enough for the supporters to outnumber those critics. The case is no different with Disney’s adaptation of A Wrinkle in Time. Armed with a $100 million dollar budget (a first for a woman of color), star-studded cast (including Oprah! ), and a vision, director Ava DuVernay set out to transfer the magic of the novel onto the movie screen. Although the movie has its faults, it contains enough heart to inspire even the most unmovable moviegoer. Based on the 1962 Madeleine L’Engle novel, A Wrinkle in Time follows 13-year-old Meg Murry’s (Storm Reid) journey to find her father. Her dad Alex (Chris Pine) was a famous scientist who mysteriously disappeared four years ago while researching astrophysics. After his disappearance, Meg struggles to fit in. Her life changes, however, when she meets Mrs. Which (Oprah Winfrey), Mrs. Whatsit (Reese Witherspoon), and Mrs. Who (Mindy Kaling), three mythical astral-travelers. These women inform Meg of what really happened to her father — he perfected the tesseract, a method of space travel, and was able to teleport himself to another planet. Now he is in grave danger, and the Mrs. W’s ask Meg, along with her brother Charles Wallace (Deric McCabe) and classmate Calvin (Levi Miller), to join them in a mission to rescue her father. After some reluctance, Meg agrees and they head off on their journey. On their journey, they learn that Alex is being held captive by the evil IT, who threatens to engulf the entire universe in darkness. The Mrs. W’s cannot survive around the IT, so the kids continue without them. Along the way, the trio encounter many roadblocks, but eventually Meg reaches her dad. Alex and Calvin are able to tesser away from the IT, but Meg stays to help Charles Wallace escape. Once she rescues him, she creates her own tesser and goes back home. It is no surprise that the cast of Winfrey, Witherspoon, and Kaling successfully bring the magic of the film to life. It is 14-year-old Reid, however, who steals the show in her moving performance of a young girl who just misses her dad. While on her physical journey, Meg undergoes a personal transformation. Reid is able to successfully express both the highs and lows of this experience, thus allowing the audience to understand what she is going through. The film’s powerful themes allow it to teach its audience how to appreciate and accept themselves for who they are. As Meg uncovers the importance of herself, viewers are encouraged to do the same with themselves. This is a powerful way for the movie to strike a deeper chord with its viewers, especially the younger ones. The story has great potential, powerful messages, and an interesting plot, but in its execution, it falls somewhat short. In a movie that was advertised as a girl searching for her father and, along the way, finding herself, it focuses more on Meg’s personal journey than the one to find her dad. Because of this, the supposed main storyline of finding Meg’s father feels rushed and unimportant. Although Meg’s internal transformation is intriguing, it would be more enjoyable if it were properly balanced with her quest to find her dad. The details of the production, on the other hand, breathe life into the magical worlds that Meg and her companions travel through. From breathtaking scenery to intricate makeup and costumes, viewers have plenty of details to absorb any time the story gets too repetitive. The special effects of the mystical world keep viewers engrossed in the sights and make up for some of what is lacking in the plot. 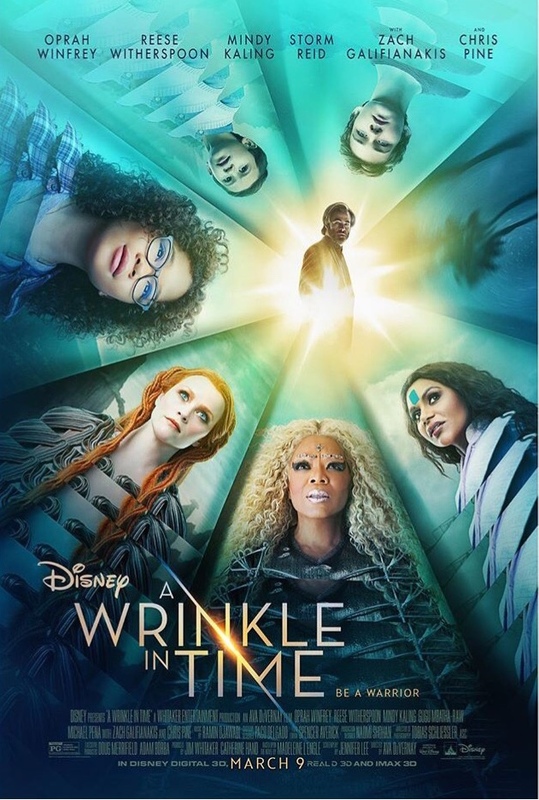 All in all, A Wrinkle in Time is certainly a film that will keep you entertained, especially due to its outstanding cast and special effects. The wrinkles in the execution of its plot, however, might not place it high on a must-watch list.